I've been watching Chug's take shape at Florentine Plaza. 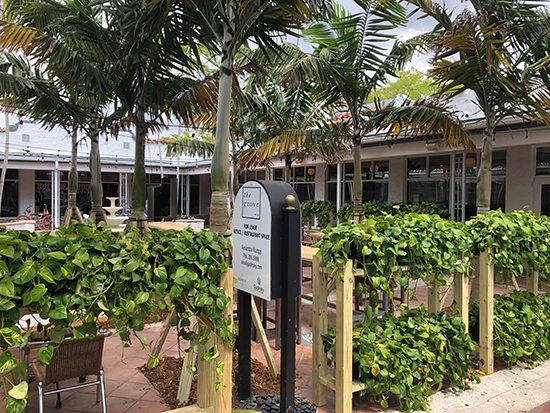 Chug's is the new Cuban diner at 3444 Main Highway. Chef and owner Michael Beltran, best known from Ariete, down Main Highway a bit, has been at Chug's daily, getting the new place ready for an opening in a week or so, he says April 12 should be the day, but if you keep your eyes open, you may just come upon a soft opening before then. 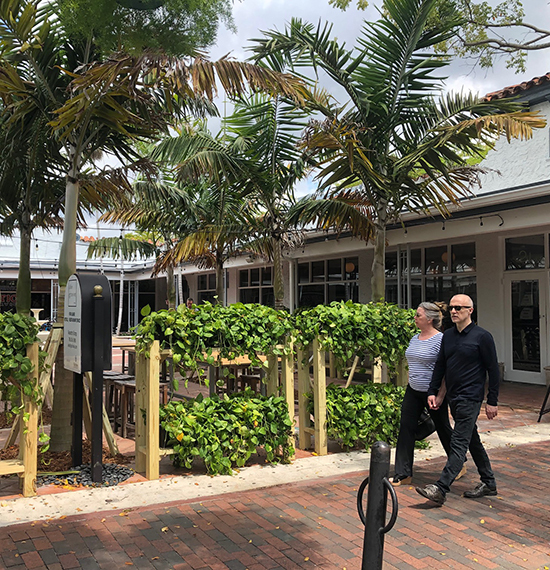 For those of you wondering about Chug's, being an over-priced Coconut Grove restaurant - relax. I got a peek at their menu and it looks very reasonable. I met with Michael (Mike) and he showed me some of the offerings. 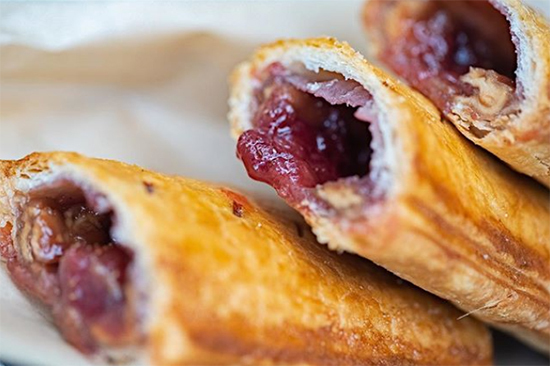 One of the most sought after items on the menu are their Pastelitos, which are $3.99, these include popular Peanut Butter & Jelly, which many know from Ariete; there is also Redland Guava, Frita, Buffalo Chicken. 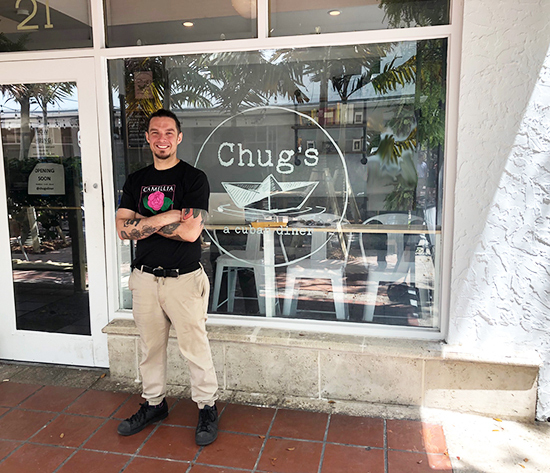 Pastelito Papi (Chef Giovanni Fesser) will be based at Chug's. Croquettas are $1.99 and include ham and Ariete short ribs along with seasonal flavors. What they call "hand helds" start at $4.99 for an egg salad sandwich, Pan con Lechon is $8.99, a Duck (yes Duck) Media Noche is $14.99, a Minuta fish sandwich on Cuban bread is only $9.99 and a Burger which is 1/4 lb. is $7.99, it comes with cheese and lettuce, tomato and onion. Large plates include Carne con papa, Pork Milanese and Rabo Encendido, which go from $16 to $18. A slice of pie is $3.99, not bad at all compared to Fireman Derek's across the street; there is also Cajeta & Goat cheese flan for $4.50, Strawberry cheesecake cookie for $2.99 and much more. Coffee is quite reasonable, too - a cortadito is $2.50; a colada is $3.00 and espresso is $2.50; a cappuccino is $4.00. The all day breakfasts are not priced yet, but include La Completa, which is three eggs, toast and breakfast potatoes; Abuelas Breakfast is white rice, fried egg, black beans and maduros. There are also pancakes, French toast sticks and a breakfast sandwich on Cuban bread, among so many other items on the menu. There are also Fritas, salads, and wine. If you passed by the plaza, you probably noticed all the new greenery added to the area. They have baskets of plants and brand new palm trees complete the center, the old ones were dying and were replaced. Long, wooden tables line the outside area, they built them there themselves. As for Chug's itself, named after their chef, it will be a place you'll want to hang out. Mike says he expects people to come and go, but it's too comfortable to just grab something and leave. 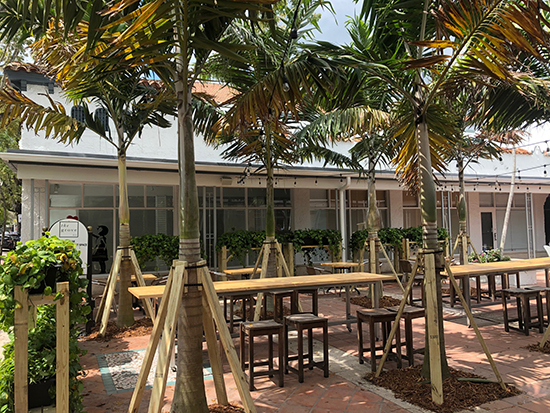 And it's a place you'll want to pop in and out of all day for cafe Cubano, quick sandwiches and snacks and main menu meals, too, and of course the pastelitos. Chug's will offer breakfast, lunch and dinner daily from 7 am to 11 pm. Breakfast will be available all day with a selection of breakfast only specialty dishes served from 7 to 11 am and lunch and dinner will be served 11 am to 11 pm.